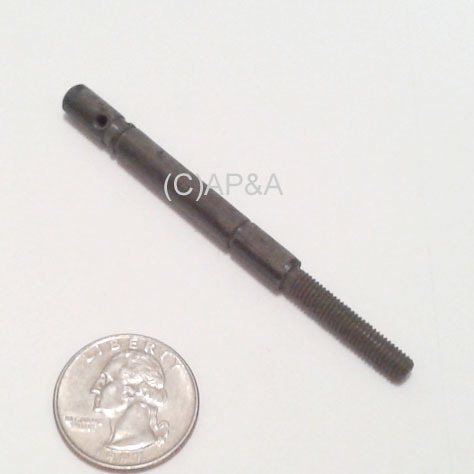 Grooved shoulder stud pin with threaded end for use on some Williams games. Approx. 3 inches length, 1/4-inch diameter.